Established 25 years ago, the Mectizan Donation Program (MDP) is the longest-running, disease-specific, drug donation program, and public-private partnership to eliminate lymphatic filariasis in African countries 2020 and onchocerciasis globally by 2025. In 1987, MSD announced that it would donate MECTIZAN (Ivermectin), our breakthrough medicine for the treatment of onchocerciasis, to all who needed it for as long as needed. A multi-sectorial partnership was established with governments in countries where onchocerciasis is endemic, their ministries of health and other national and international stakeholders, including the World Health Organization, to ensure appropriate infrastructure, distribution and support. The Mectizan Donation Program is the longest-running, disease-specific drug donation program and public/private partnership of its kind, and is widely regarded as one of the most successful public/private health collaboration in the world. In 1998, MSD expanded the MSD MECTIZAN Donation Program to include the prevention of lymphatic filariasis (LF), commonly referred to as elephantiasis, in African countries where the disease co-exists with river blindness. Over 400 million people are estimated to be at risk of infection in Africa. To facilitate the donation and delivery of MECTIZAN, MSD established a multi-sectorial partnership, involving the World Health Organization (WHO), the World Bank and UNICEF, as well as ministries of health, nongovernmental development organizations and local communities. In 1988, MSD established the MECTIZAN Donation Program (MDP), housed at the Task Force for Global Health, to provide medical, technical and administrative oversight of the donation of MECTIZAN. In 1991, MSD, MDP and the WHO established the Non-Governmental Development Organization (NGDO) Coordination Group for Onchocerciasis Control. The WHO established goals to eliminate lymphatic filariasis and river blindness by 2020 and 2025, respectively. Founded in 1915, Helen Keller International (HKI) is among the oldest international nonprofit organizations devoted to preventing blindness and reducing malnutrition worldwide. Spanning 22 countries around the world, their entire organization, including their worldwide staff, their Board of Trustees, and their Senior Management Team work tirelessly towards this goal. One of their founding trustees is the great deaf-blind crusader, Helen Keller, and theyw are proud to carry on in her name and memory. The mission of Helen Keller International is to save the sight and lives of the most vulnerable and disadvantaged. They combat the causes and consequences of blindness and malnutrition by establishing programs based on evidence and research in vision, health and nutrition. Their vision is to strive to be the most scientifically competent organization in improving vision and nutrition throughout the world. There are simple, low-cost and proven solutions for preventing the world’s most devastating causes of blindness and malnutrition. The challenge is finding ways to deliver them to the deeply vulnerable people around the world. And that’s where Helen Keller International’s expertise comes in. They find the most effective Pathways to People, whether it’s through healthcare, schools, informal social systems, or even local or national food supplies. Once they are working within local community structures, they magnify their impact by Integrating Solutions into existing health, education and food systems so that they become sustainable through being community-owned and led. Through their work, Helen Keller International can prevent blindness. In fact, 80% of all blindness is avoidable, with simple, proven solutions such as adequate vitamin A, low-cost surgeries, and annual doses of antibiotics. Working together, and supported by their donors, Helen Keller International is preventing blindness worldwide by bringing solutions to millions of vulnerable people. Their programs include Cataract Treatment, Onchocerciasis Control, Trachoma Control, Vision Correction/ChildSight®, Vitamin A Supplementation. They also have begun new programs in Diabetic Retinopathy Treatment, and work to seek treatments and cures for all Neglected Tropical Diseases, including those that are not blinding. At Helen Keller International, they dedicate theirselves to reducing malnutrition by providing low-cost vitamin and mineral supplements to millions of the most hard-to-reach, deeply vulnerable people around the world, and by encouraging people and communities to make simple and inexpensive changes to their food production and consumption that collectively result in saving the sight and lives of millions of people worldwide. -Helen Keller International’s Vitamin A Supplementation program has helped reverse the devastation caused by vitamin A deficiency. Last year alone, HKI helped deliver over 85 million capsules to save the sight and lives of children in Africa and Asia by providing them twice-yearly treatments of vitamin A at a cost of just $1.00 per child per year. -HKI's Homestead Food Production creates nutritional self-sufficiency for small communities in Africa and Asia-Pacific through the establishment of thousands of women-tended Homestead Food Production gardens. The program created 190,000 jobs last year for women in poorer households in the rural areas of Bangladesh, Nepal, Cambodia and the Philippines. -Helen Keller International’s Food Fortification and Biofortification programs provide communities and families with more nutritious foods, enabling people to live healthier lives. These programs result in preventing malnutrition and improving the lives of millions of the world’s most vulnerable people. Amid the trend toward greater democracy, The Carter Center has become a pioneer in the field of election observation, monitoring 89 national elections to help ensure that the results reflect the will of the people. When democracy backslides or formal diplomacy fails, the Center offers mediation expertise and has furthered avenues for peace in Africa, the Middle East, Latin America, and Asia. 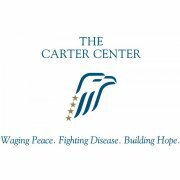 Since 1982, The Carter Center has shown in more than 70 nations that creating a world at peace is a very possible journey, one step at a time. Observation in the last year of presidential elections in Cote d'Ivoire, Cherokee Nation, Liberia, Tunisia, and the Democratic Republic of the Congo. Creating avenues for dialogue to strengthen relations between the Andean countries and the United States. Recent and upcoming election observation for Egypt. A leader in the eradication and elimination of diseases, the Center fights six preventable diseases — Guinea worm, river blindness, trachoma, schistosomiasis, lymphatic filariasis, and malaria — by using health education and simple, low-cost methods. The Center also strives to improve access to mental health care. 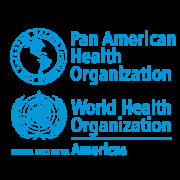 PAHO wears two institutional hats: it is the specialized health agency of the Inter-American System and also serves as Regional Office for the Americas of the World Health Organization (WHO), the specialized health agency of the United Nations. From its Washington, D.C., headquarters, 27 country offices and three specialized centers in the region, PAHO promotes evidenced-based decision-making to improve and promote health as a driver of sustainable development. 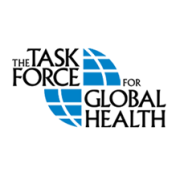 The Task Force for Global Health is an independent, nonprofit organization based in Decatur, Ga., USA, with field offices in Addis Ababa, Ethiopia, and Guatemala City, Guatemala. Since 2013, they have been ranked among the five largest nonprofit organizations in the United States by Forbes, due to significant in-kind contributions of medicines from pharmaceutical companies. The Task Force consists of eight programs and five projects focused on neglected tropical diseases, vaccine-preventable diseases, and health systems strengthening. Their programs share a common collaborative approach in all of their work. The Neglected Tropical Diseases Support Center works closely with the International Trachoma Initiative, Mectizan Donation Program, and Children Without Worms programs to conduct operational research necessary to reach control and elimination goals for blinding trachoma, river blindness, lymphatic filariasis, and intestinal worms. In addition, the Public Health Informatics Institute works with programs across The Task Force to use health information more effectively. As an Emory University affiliate, they benefit from the close association with a leading academic institution. All of their team members are Emory University employees. 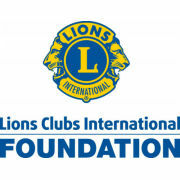 Their programs and projects currently reach hundreds of millions of people in 154 countries. The Task Force consists of eight programs focused on neglected tropical diseases, vaccines, field epidemiology, public health informatics, and health workforce development. The Task Force plays essential convening roles for the programs and helps them advocate to funders and partners. It also provides an agile and responsive platform for programmatic success. A collaborative approach is common to all of their programs. Neglected tropical diseases (NTDs) are burdens for many developing countries. These diseases cause blindness, disfigurement, cognitive impairment, stunted growth, and even death. They implement comprehensive programs to control and eliminate five NTDs – blinding trachoma, river blindness, lymphatic filariasis (elephantiasis), intestinal worms, and snail fever. This work is largely supported by pharmaceutical companies that provide financial support and donate billions of dollars annually of antibiotic and anti-parasitic medicines. Vaccines are a vital tool to protect health – and they work to increase access to vaccines for cholera and influenza in developing countries. They also are playing a major role in polio eradication by helping countries switch to safer and more effective vaccines and address barriers to eradication. They assist U.S. public health agencies and developing countries in building their public health infrastructure by training healthcare workers in how to detect and respond to disease outbreaks such as Ebola and by improving the use of information to protect and promote health. They also help developing countries build human resource information systems to manage the licensing requirements of their healthcare workforce. The Task Force is playing an increasing role in supporting the Global Health Security Agenda. This includes providing assistance with influenza pandemic preparedness, building disease surveillance capacity, and responding to emerging infectious diseases such as Zika virus. The Task Force was founded in 1984 to work on a single global health issue–low childhood immunization rates in developing countries. They have endured for more than 30 years because of the great need for their services, especially their ability to mobilize partnerships and focus resources and expertise on global health problems.